If you follow tattoo trends and artists, chances are you've heard of Mario Barth. This world-renowned tattoo artist owns and operates a chain of four tattoo studios (located in New Jersey) under the name Starlight Tattoo. 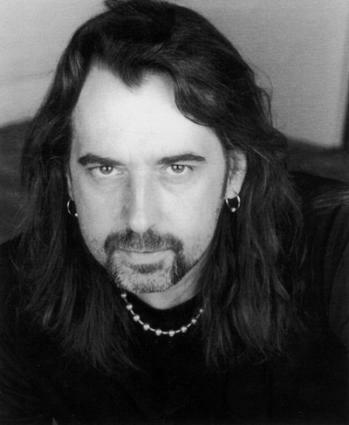 In addition to a 20 year long career that has taken him from Austria to the United States, Barth has also tattooed some famous inked celebrities you may have heard of: Fieldy of Korn, Lenny Kravitz, members of My Chemical Romance and Nikki Sixx of Motley Crue, among others. In the following interview, Mario Barth gives a little more insight into his tattooing world. Starlight Tattoo has locations in Fair Lawn, Paterson, Belleville, and Rochelle Park, New Jersey. When asked about the type of clientele he's currently seeing, Barth stated: "Our clientele ranges from 18 to 60-years-old and from blue collared workers to CEOs and celebrities. The majority of my clients are 25-35 and I would say the male to female ratio is 50-50 now. " Martio shares how he became a tatoo artist: "I started tattooing when I was 12-years-old in Austria and went pro in 1989 by opening the first legal tattoo shop my country. I visited the United States in 1987 and found a tattoo studio in Orlando which was owned by a really nice guy named Sailor Bill. From that moment, I knew how I wanted to run my business. And to this day, I still stay in contact with Sailor Bill." LoveToKnow (LTK): How have tattoos changed in the media? Tattooing is much more mainstream today then it was 15 or 20 years ago. With all the media exposure, tattoos have become more softened to the average person. There not seen as a negative image. And as tattoos continue to rise in popularity, we can focus more on the art and their expression instead of the criticism. 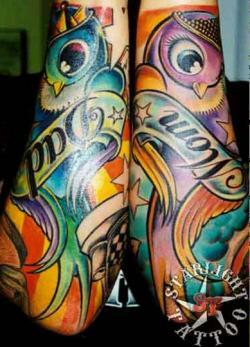 Mario Barth (MB): Where are tattoos headed today? I see trends moving forward technologically and pushing the envelope artistically. Every day, more people turn 18 and with all the exposure on television and on the Internet, the amount of people who seek skin art will at least double in the next ten years. 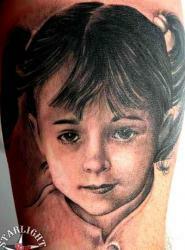 As of right now, portraits and large scale Japanese tattoos which include full body suits are the most popular. As for his favorite type of tattoo to ink? Barth indicated he's happy to do them all, as long as the art is something that his customers choose and enjoy. Mario Barth has won over 200 awards internationally for tattooing, and he is very active in not only the hands on world of tattooing - but in researching tattoo practices and coming up with new technology. The inventor of the world's first single use, completely sterile inks (Singlez™), Mario Barth is making great strides towards better health and safety in the tattoo industry. Barth is also the founder of the Tattoo Legal Defense Fund, which fights for the rights of tattoo artists and enthusiasts. Mario Barth also performs a type of tattooing that is not commonly thought of - corrective cosmetic tattooing for medical patients, specifically those afflicted with cancer. He works as a practitioner and consultant for Hackensack Cosmetic Surgeons, and is able to help cancer patients feel better about themselves using special inks and techniques. The National Tattoo Association named Starlight Tattoo "the best tattoo studio worldwide", so be prepared to book your appointments well in advance.